A 2009 Barbie Fan Club Exclusive. She looks ready to perform The Nutcracker ballet, hence, the nutcracker friends included in the photo shoot. Katerina is one of the silkstone dolls in my collection that I can't bear to redress. I think she's perfect the way she is. 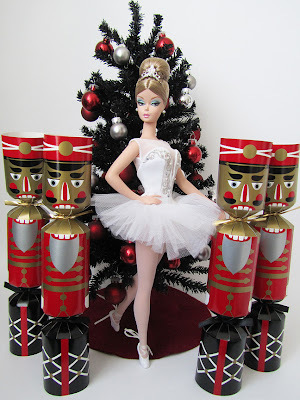 And it looks like her nutcracker pals agree! 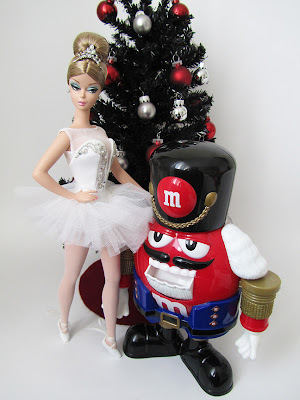 Well, the "12 Dolls of Christmas" is almost coming to a close. I hope everyone has been enjoying it so far. I quite enjoyed revisiting certain dolls that don't get enough play and camera time. Yes she's very pretty as is!